Do you know what type of coverage you have in the event your home suffers water damage? If you don’t, you’re not alone. Only about half of Canadians polled by one Canadian insurer understand what kind of water damage is covered by their policy. That’s surprising given the increasing frequency of extreme weather events which are often accompanied by heavy rains, hail and flooding. Water is one of the most common causes of damage and accounts for half of home insurance claims costs. 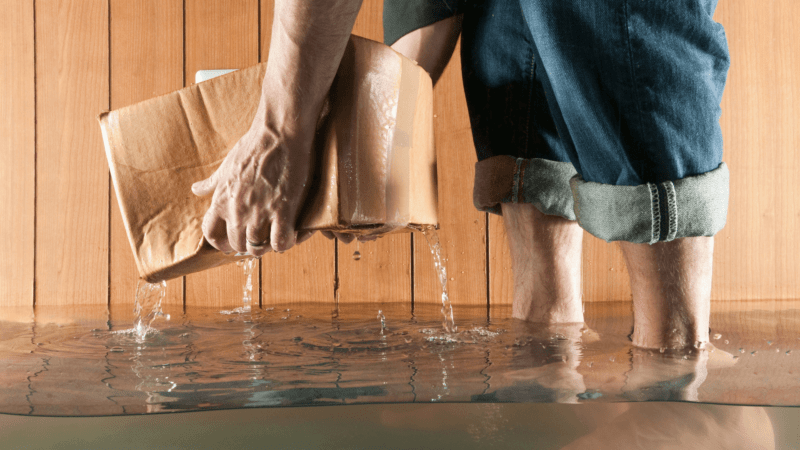 The Canadian Institute of Actuaries noted in one report that water damage accounted for 48 per cent of home claims, ahead of theft and fire. In 2018, the Insurance Bureau of Canada conducted a poll which found almost 45 per cent of Canadian homeowners with a ground-level home thought they had flood insurance as part of their regular home insurance policy. Twenty-six per cent didn’t know if they had coverage or not. And, only 37 per cent felt confident that they knew what was covered and what was not. Home insurance policies typically cover accidental water damage, such as a burst water pipe, a leaking dishwasher or overflowing bathtub. This basic coverage can be enhanced with endorsements covering ground water and sewer-backup, above ground water and even semi-inground or inground swimming pools and hot tubs. Generally speaking, these are the types of coverage available to homeowners but it’s a good idea to be sure since not all insurance companies offer them and some exclusions could apply. 1) Sewer backup – This is coverage for loss or damage caused by the sudden and accidental escape of sewage overflow of water from any drain, pipe or fixture connected to a public sewer system or a sump pump located in your home or septic tank. 2) Overland or Surface Water – In this case, the coverage is for loss or damage due to water entering your home that is caused by a flood, unusual and rapid accumulation of groundwater, a torrential rainfall, snow melt, surface water or the overflow of any body of fresh water. 3) Service Line – This type of coverage relates to underground service lines that run from the street to your home. It covers losses that are as a result of wear and tear, rust or corrosion, damage or collapse caused by plants and/or trees, mechanical breakdown or the weight of equipment, animals or people. One thing is for certain, every homeowner should discuss their coverage with their insurance broker. Understanding what is covered or what else may be available to you is a crucial step in protecting what is most important to you.